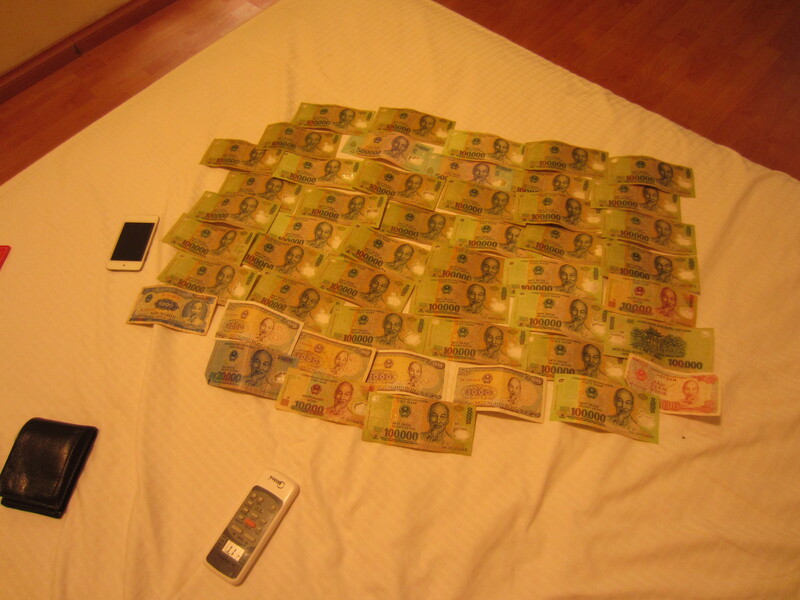 Many people who visit a region such a South East Asia quickly realise that they can get a lot for their money. Then you go home, and you raise an eyebrow at that hot bowl of pho down the road, which Sydney is suddenly charging you 6 times the price for. And those beers are now $6 from the bar. Why? It’s still basically the same noodles and beer! Eventually, that ‘I used to find cheaper overseas!’ feeling wears off, and you realise that you live in a well-to-do, prosperous country, and that of course living here costs of a little more, for all those Western comforts and mod cons. But somehow, for me, I see things a little differently than before. I was born in Sydney, and lived here most of my life. I lived back and forth between Sydney and the Central Coast for many years, but I consider myself a Sydneysider. My professional life and renting history have all been here, and therefore, my money barometer of what is cheap and what is expensive has set the standard extremely high. I work as a research scientist and my pay isn’t bad, i’m not complaining. However because the science industry is what it is, I still make below Sydney’s average. I therefore always feel as though Sydney costs just a little bit too much for me, and I honestly can’t understand how I could ever own an apartment here. I feel very lucky to have travelled through so many countries on earth. I’m now looking at the cost of Sydney from a new angle. I always compare the cost of things to other cities; and occasionally I budget by the day instead of by the month (as I used to when I was backpacking). I always knew this place was expensive. But what seems so clear to me now is there’s no bang for your buck – there’s no sense that you’re getting a good deal on anything. Things are overpriced, but everyone is ok with it because they can handle it…but do we know we’re being ripped off? No, not really. That’s just the ways things are. It’s not accurate to compare Sydney with Vientiane or Kathmandu or Dar Es Salaam; there’s a world of difference and they’re apples and oranges. It’s more fair then, to compare Sydney to the other cities in it’s class – Melbourne and Brisbane, but more pertinently (for me anyway, as I’ve spent a fair amount of time in these ones), Paris, London, Montreal, Antwerp, and so on. Anyway, the topic of renting is very broad due to many factors, who you are, what you want, what your budget is, etc. However, a 1 bedroom apartment in the city could cost around $500-600 (this obviously varies greatly) per week. The suburbs are cheaper, but living within, say, an hour or the CBD is still too much for what it is. I mean, think about that price, it’s just mental. We used to pay $600 CAD (The same as $600AUD) per month for our apartment in Montreal. It was bigger than our current place, and took about 30-40 minutes to reach the city centre by public transport. So for me at the moment, rent is something like $2400 a month, and it’s downright depressing seeing those large sums of hard-earned money enter my account and leave again at wallet-exploding speed. Take a step back and look at the dead money pouring into Sydney rent. Is it really worth it? OK…yes, yes, I know, I could move to a cheaper area, but everyone’s situation is different, and we live in the city to save on both train tickets and car expenses by walking to work and walking to the shops. Which brings me to my next point – transport costs. The high cost of transport in Sydney is something that I just can not fathom. The first time I seriously questioned it was after a 2009 trip to London, where I was exposed to the highly versatile and convenient Oyster Card. 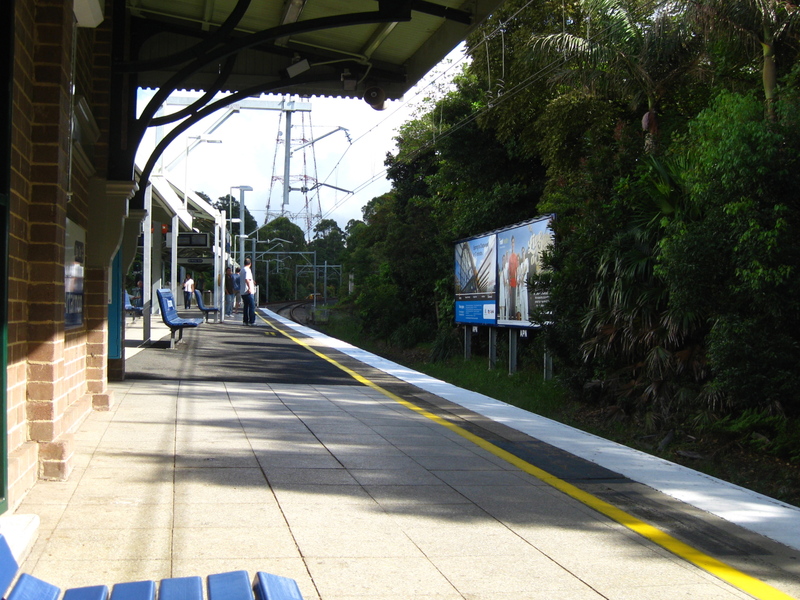 Now, looking at Sydney – a one-way train ticket within the Sydney city circle (I believe that’s about 8 stations, correct me if I’m wrong) costs $3.80. Let’s say you go from Town Hall to Wynyard, that’s a 3 minute ride, so you pay more than a dollar a minute! A bus ticket to zone 3 (which is the ticket for most city-suburb rides) is $4.60. Buy that same ticket from the driver and it’s $5. The price of a point-to-point monthly train ticket from King’s Cross to Redfern (my short commute, which covers 5 stations) costs $102. Let’s compare that to the monthly Paris Navigo card at 67,10€ (roughly $100), which allows you to travel to every station in zone 1 and 2 (basically every station within the peripherique – the main Paris metropolitan area) on the RER (city trains), Metro (subway system), as well as the bus system! That’s hundreds of stations and bus stops! OK, I’m a little bias because I completely fell in love with the Paris metro! In New York City I loved their reasonably priced taxi system; due to the nature of the city and the large taxi numbers they’re actually an affordable transport tool for getting from A to B. I consider a Sydney taxi as a real last resort. Sydney to Lane Cove, a suburb north of the Harbour Bridge where I used to live, would cost $40 for a 15 minute drive. Finally, I’d like to mention the other stuff – everyday items such as groceries and entertainment. Let’s look at one example, a common entertainment treat, a service basically uniform the world over – a movie ticket. 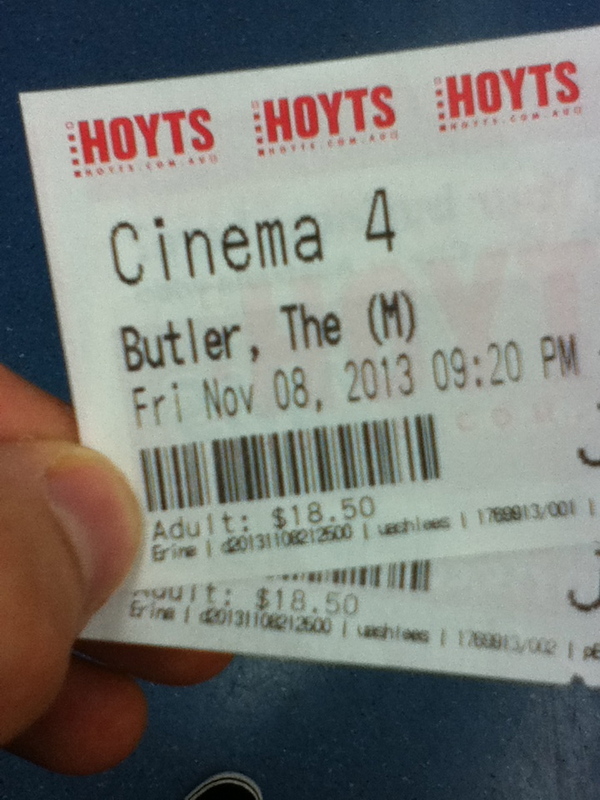 One of the first things we did when we got back to Australia is go to the movies. I still remember my jaw hitting the floor when we paid for the tickets. Since when did a movie ticket cost $18? I can remember when they cost $13 (ah, the ‘good ol’ days’) just a few years ago. Might as well buy the DVD when it comes out. In Myanmar, we saw a new release for about $2. In Kuala Lumpur, about $3. For somewhere more comparable, Paris, a ticket to the movies costs 6.50€ – about $10. That sounds better, doesn’t it? For 2 hours of entertainment? (In fact, the seats in your average MK2 cinema in Paris are so much more comfortable too, very soft with double padded armrests). At the moment, tomatoes cost something like $8 a kilo. One of these multigrain breads like ‘Helga’s’ comes out at $6. I know there’s $1 Coles bread, but seriously, the fact that a $6 bread even exists is mind-blowing. And I recently saw a 4-pack of 250mL glass coke bottles, $7! That’s $7 a litre for Coke! Bottle of bourbon? $45. I found the same bourbon in Europe and Canada for about $20. A pair of jeans is usually around $60-100, and it’s quite easy to find some good ones in Paris for around 10€. So, there’s my rant. In a nutshell, I suppose I’m trying to say that I’ve always known Sydney was expensive. Now I see it’s too expensive. I must say that as I was writing this, it was very tempting to launch into a complaint about so many other things, such as the parking nightmare, the limited rail network, weirdos and public drunks, and many more. Whilst writing, we were also going through Cindy’s permanent residency application, and don’t get me started on the cost of that! It took a lot of saving and almost completely cutting out alcohol spending to afford for that visa cost. A big part of the appeal of Sydney is the sun, the beaches and the beautiful harbour, and it truly is a beautiful harbour. When I was younger I told myself that I was paying a little extra here because I had the chance to enjoy the shimmering morning sunrise as the train rattled across Sydney’s Harbour Bridge. But since seeing facets of life in other large cities, I just can’t ignore Sydney’s prices anymore. So for now, what am I going to do? Move? Save up and dream big and have another world trip? Who knows, maybe. I certainly won’t be going to any property auctions any time soon. I read this article when i just sent my application letter to one of coal mining at Queensland, not in Sydney anyway, but still at the same continent which rent price is multiple times than in our country. Haha ok, hope I didn’t discourage you from coming! Australia is still a beautiful place…but it has high living costs 🙂 Good luck with your application! Thank you, i do hope so about my application since it’s about my thousandth application, kekekeke. I’ve been at Sydney once. yes, the living cost is so high…but the air is so nice :D.
Sydney is truly an awesome and great city. But it is insanely expensive! Australia has become one of the most expensive countries in the world and Sydney is the most expensive city in Oz. I now live in Sydney and love it, butcoming from the States originally, and even after 2.5 yrs in oz (1 in Melbs, 1.5 in Syd) I still cant get over prices here. I feel like myself and everyone else here is constantly getting ripped off for everything, my wife must be so tired of my complaining! There are some reasons why it makes sense that some things cost more here. But there are plenty of other reasons it does not make sense, and I firmly believe Australians are routinely priced gouged and are just used to it so they just pay up. You can often buy things from other countries at retail price and still get a much better price after paying exchange rate fees, and super expensive shipping costs to Oz. Also you just do not get much value for what you do spend. I am much more conscience of what my money is spent on here and cut back a lot more things than I would if I were in many other countries. I have lived in 3 countries (US, Argentina, Australia) and traveled extensively throughout 5 continents so I am not just comparing things to America either. While it is true that wages are generally higher (low to average type of jobs anyway) the money just does not go as far as it does in most of the States for example, even on half the pay. If you happen to not work a mid range job on salary there is no doubt that living in Aus is just a overly big financial burden, and living in Oz is certainly not the best financial decision you could make if that was your main consideration. This place is great so I am sorry to sound so negative, but it is frustrating at times. Sydney is a great city, and expensive too. 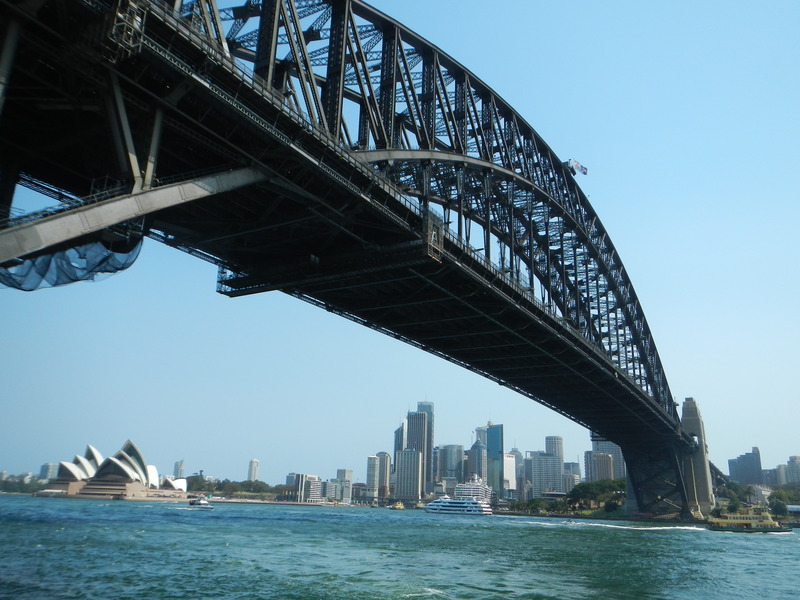 There are many other cities around the world which are expensive too, but it’s only been in Sydney that I feel a sort of ‘sinking feeling’ – that you’re wallet gets squeezed just a little bit more than it should. But this is where i’m from, so that’s why i’m staying here! But who knows, I may move away one day.